Razordesk is a fully featured Web Helpdesk IT ticketing system. Features include windows style user interface, contracts, notifications, reporting, jeopardy warning and much more. Free Edition supports 3 simultaneous users. Easy to install. TaskPool is an advanced, powerful and feature rich Task Management system, for communication with customers (Help desk), with partners (outsourcing), and bug tracking (development). The organization software â€œZeta Helpdeskâ€� for Windows and Web offers an optimal environment with its modular software architecture for the adaptation, documentation, monitoring and payoff of external or internal support inquiries (tickets). . Collaborate on helpdesk tickets in Outlook. Create tickets from e-mail or web. Describe problems using attached files and rich text. Sort tickets. Get information from the Outlook contacts or GAL. Open tickets are stored in Outlook and in an Access. ieSupportManager is a fully featured desktop and web based helpdesk system. ActiveXperts HelpDesk System is a powerful, web enabled support management system designed for help desks, call centers, customer support centers and ICT departments. 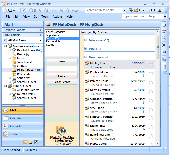 FastRequest HelpDesk- Workorder, Web form and HelpDesk software. FastRequest Helpdesk is the first Work Order software or help desk software to allow the creation of customized Web forms or online service request (Checkbox, Radio Button, Text Box, Drop-down List?). Web SmartDeviceMonitor software gives IT Managers and Helpdesk personnel a central monitoring and control point for networked Multifunctional products, printers, scanners and other devices.